Kids are invited to join our new book club and talk about books nominated for the RI Children's Book Award! Each meeting we will talk about books, work on a related activity and enjoy a light snack. You'll also earn buttons for each book you read! 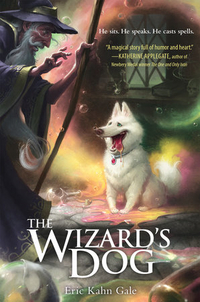 The October book is The Wizard's Dog by Eric Kahn Gale. Copies will be available to check out at the Children's Desk.